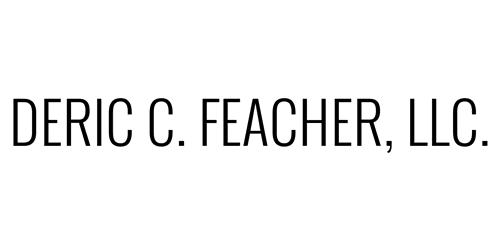 Read Deric Feacher’s full biography here! In addition to The Messenger Speaks! engagements, Deric is the City Manager of Winter Haven, Florida. Winter Haven is home to LEGOLAND Florida. Visit the City of Winter Haven! Deric is a certified Coach, Trainer and Speaker with the #1 New York Times bestselling author, coach, and speaker who has sold more than 25 million books in fifty languages John C. Maxwell Team. Bachelor of Arts in Political Science and a minor in Public Administration received from Bethune-Cookman College. Deric Feacher joined forces with a powerful visionary named Ashlee Wright who had a dream to educate students who were not successful in the normal public school system. Through this visionary leader, Winter Haven’s first charter high school, called New Beginnings High School, is dedicated to providing a quality education to the students of Polk County. NBHS offers another chance for students to earn their state-recognized high school diploma. Deric has been involved in politics since his high school years at Winter Haven High School. His thrust into politics commenced when he was Youth Mayor for his hometown City Winter Haven. Through his discourse with Ellie Threkel, who was mayor, he realized the importance of being politically involved. Deric continued to be involved in politics by applying for Florida American Legion Boys State through Post 201 in Florence Villa and being selected as a delegate. As he traveled to the Florida state capitol on the campus of Florida State University, he would put his political skills to the test and run against 480 of the top male students in the “Sunshine State,” to be elected to the position of Governor of Florida American Legion Boys State. Deric has been mentoring students since 1995 when he went off to college at Bethune-Cookman in Daytona Beach, FL. His consistent concern for students who have learning disabilities or come from single parent homes is evident in the young people who have been mentored by him over the years. The Upsilon Xi Chapter, Omega Psi Phi Fraternity, Inc.
FCCMA-Florida City and County Management Association and many more! — Being a former Governor of Boys State, Deric is still involved in the Florida American Legion Boys State as the Director.